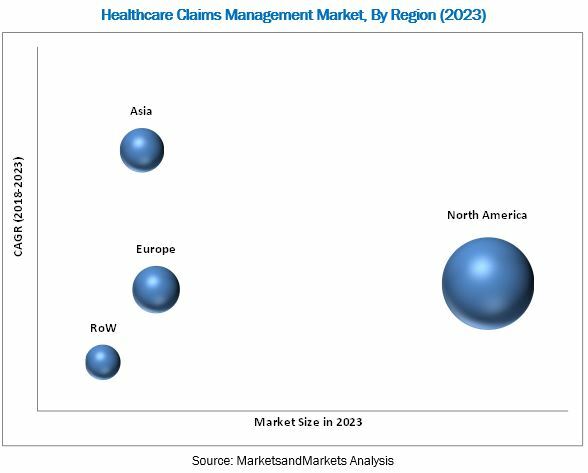 [139 Pages Report] The global healthcare claims management market was valued at USD 10.16 billion in 2017 and is projected to reach USD 13.93 billion by 2023, at a CAGR of 5.3% during the forecast period. Base year considered for the report is 2017 and the forecast period is 2018–2023. The major players in the healthcare claims management market include Cerner Corporation (US), McKesson Corporation (US), athenahealth (US), eClinicalWorks (US), Optum, Inc, (US), Conifer Health Solutions (US), and nThrive (US). The global healthcare claims management market is projected to reach USD 13.93 billion by 2023 from USD 10.77 billion in 2018, at a CAGR of 5.3% during the forecast period. The key factors driving the growth of this market are increasing patient volumes, expanding health insurance market, growing importance of denials management, and declining reimbursement rates. On the basis of type, the global healthcare claims management market is segmented into integrated solutions and standalone solutions. The integrated solutions segment is expected to register the highest CAGR during the forecast period. The high growth in this segment can be attributed to increasing demand for integrated solutions, which play an integral role in improving process efficiency and reducing costs. Based on delivery mode, the healthcare claims management market is segmented into on-premise and cloud-based. The cloud-based segment is expected to grow at the highest CAGR during the forecast period. The high growth of this segment can be attributed to the comparatively lower capital expenses and operational costs incurred along with better scalability, flexibility, and affordability. The geographic segments in this report include North America, Europe, Asia, and the Rest of the World. Of these, the North American market is expected to account for the largest share of the market in 2018. The large share of North America can be attributed to the high and growing HCIT investments in the region and the presence of regulatory mandates favoring the implementation of healthcare claims management solutions. Also, several major global players are based in the US, owing to which the US has become a center for innovation in the healthcare claims management solutions market. However, integration of claims management solutions, data breaches and loss of confidentiality, lack of skilled IT professionals in healthcare, and high cost of deployment of claims management solutions are some of the factors restraining the growth of this market. On the other hand, the emerging markets such as China and India to offer significant growth opportunities for this market in the near future. Cerner Corporation (US), McKesson Corporation (US), athenahealth (US), eClinicalWorks (US), Optum, Inc, (US), Conifer Health Solutions (US), and nThrive (US) are the key players in the healthcare claims management market. 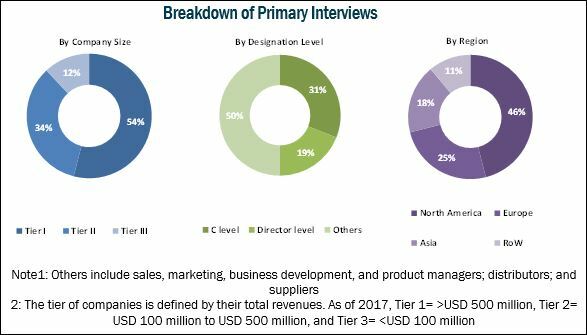 Other players involved in this market are DST Systems (US), Cognizant Technology Solutions (US), Allscripts Healthcare Solutions, Inc. (US), Context 4 Healthcare (US), Health Solutions Plus (US), GE Healthcare (US), RAM Technologies (US), Quest Diagnostics (US), The SSI Group (US), PLEXIS Healthcare Systems (US), and GeBBS Healthcare Solutions (US).